5 Bedroom End of Terrace Cottage For Sale in Bedford for Offers Over £450,000. 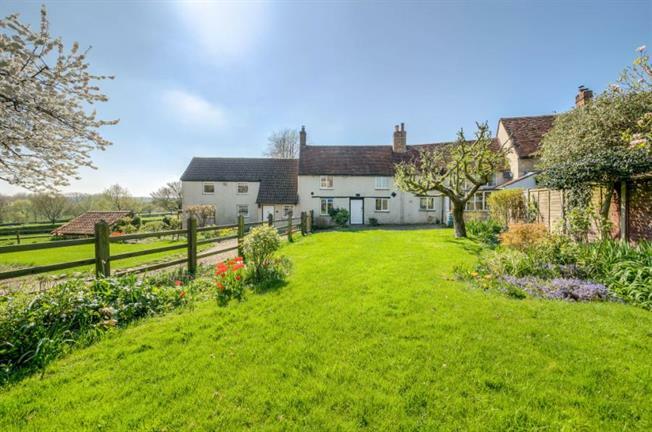 A stunning collection of three cottages that have all be incorporated to one large family home with stunning countryside views. This lovely secluded location offers stunning countryside views, private parking and a single garage. The property offers five bedrooms with three separate reception rooms and two bathrooms; the sitting room is of an excellent size with exposed beams on the ceiling and beech flooring. The stunning family room offers triple aspect and has a large window over looking fields extending to the river Ouse. There is a well proportioned farm house style kitchen with a large utility room with further units and plumbing. Externally the property offers parking, a garage and a detached brick outbuilding. The current owners have plans for extensions to the property increasing the current footprint. The gardens are mostly laid to lawn with mature boarders and established trees. Pavenham is set in the heart of north Bedfordshire with a bustling sense of community, there is a well renowned golf course, village pub, tennis club and cricket club. Mill lane is located in the centre of the village offering direct access to the numerous walks that follow the river Ouse. Bedford is a bustling market town with excellent links to central London (St Pancras 37 minutes). The village of Pavenham has retained its Sharnbrook school catchment criteria and also offers direct access to Bedford's Harpur trust schools.